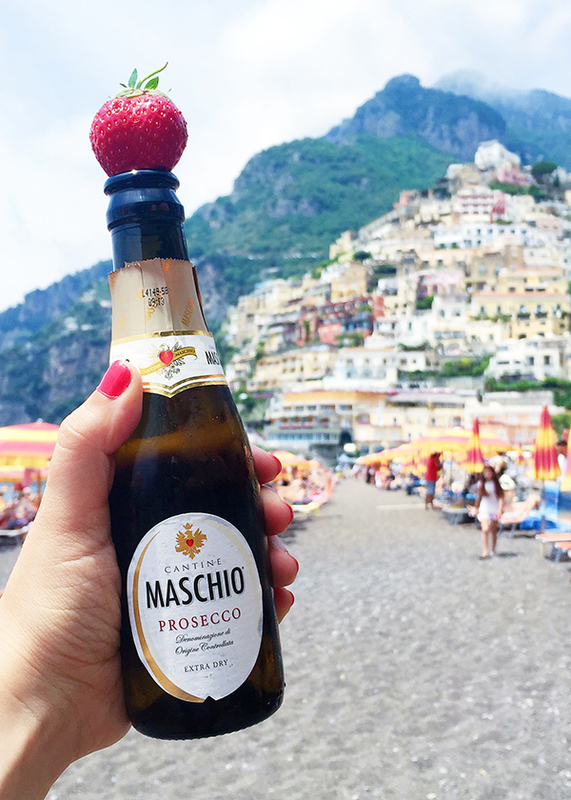 Take me back to Positano... please! 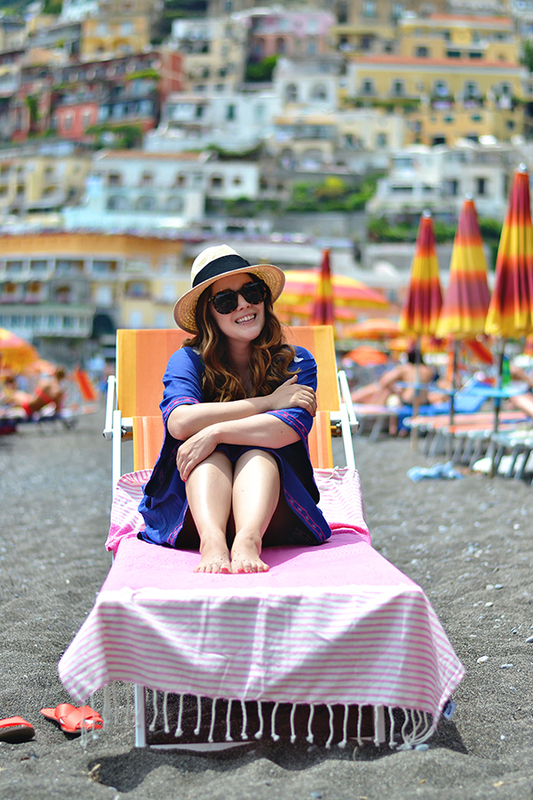 This past week was a bit stressful and, as I was writing this post, all I could think about was how much I missed relaxing in Positano (you can read my "10 Things You Must Do in Positano" here). Monday morning I discovered that my wallet had been stolen. All of my years of traveling and living Italy and I had finally fallen victim. Maybe I got overly confident or just encountered someone who was really good, either way I had to spend the week cleaning up that mess! On top of that, my laptop, which is my everything when I am abroad, started acting up. Fortunately through the magic of Skype, I was able to spend hours on the phone with Apple support rebooting my computer and reinstalling my operating system. Fingers crossed! But if I go radio silent at some point, you will know why. 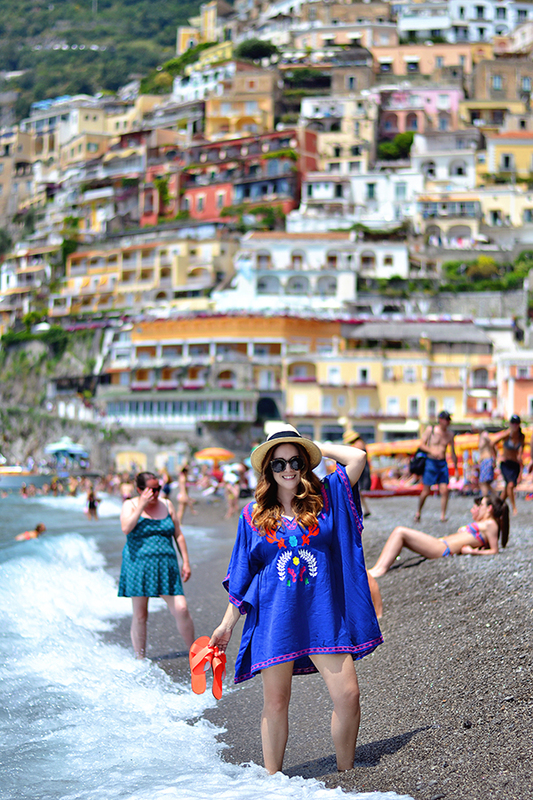 But back to Positano and this adorable beach coverup-dress combo. 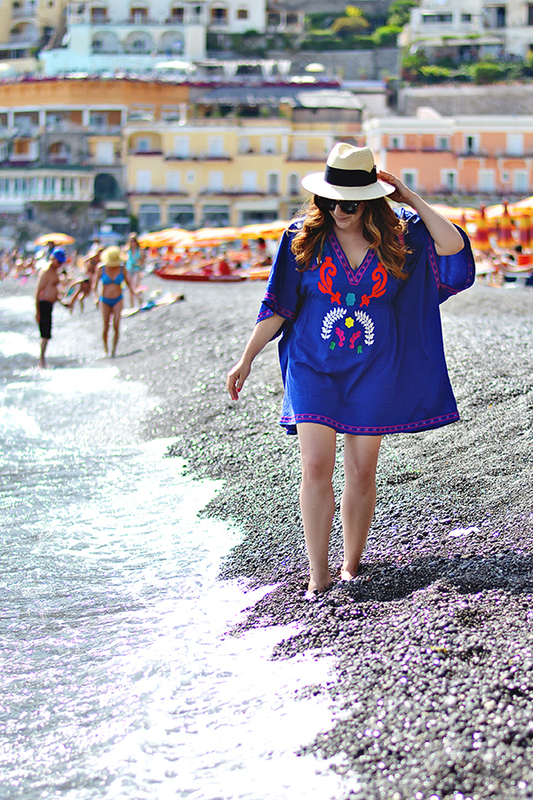 As a Florida girl the beach coverup is a wardrobe staple. 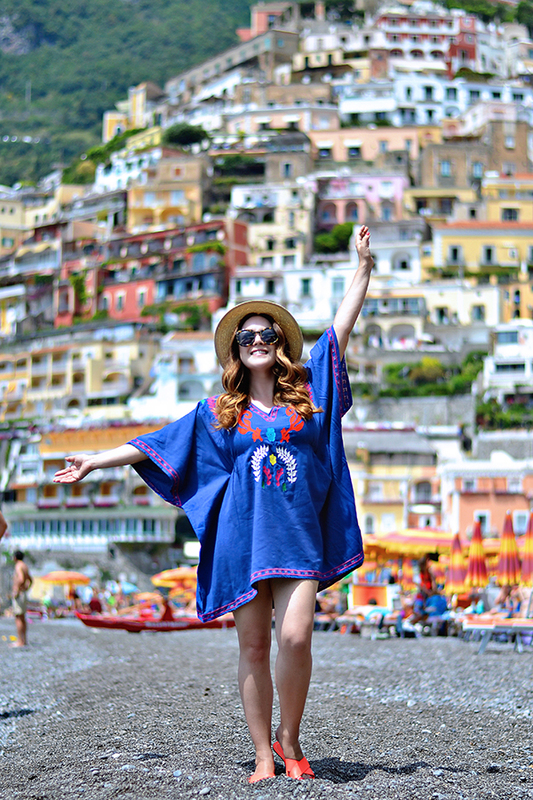 But I really love when I find pieces, like the one above, that can function as a beach coverup and an easy breezy summer dress. 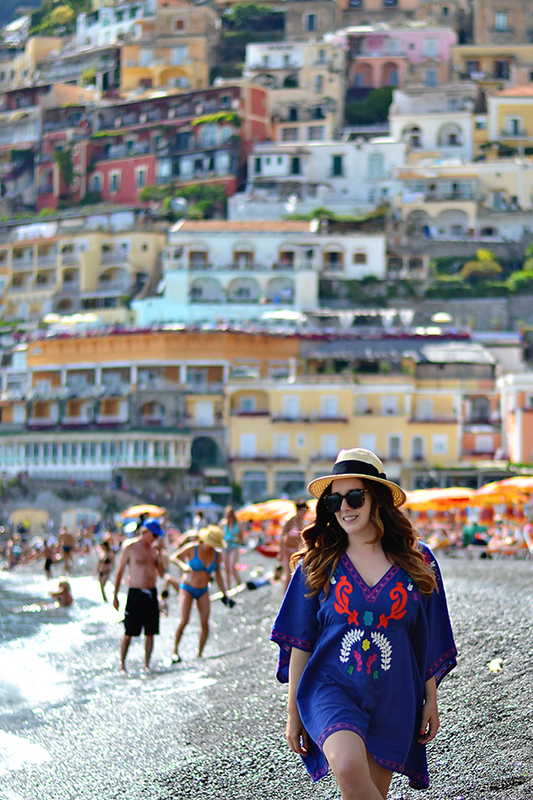 I practically live in dresses like this on hot summer weekends in both Florence and Florida (and let me tell you, it has been hot in Florence). I instantly fell in love with the colors of this Nanette Lepore tunic. Not only are the colors vibrant and perfect for summer, the tunic is long and opaque enough to double as a casual dress. I also loved the v-neck and fitted elastic seams on the side, which give it a flowy caftan look that is still flattering. 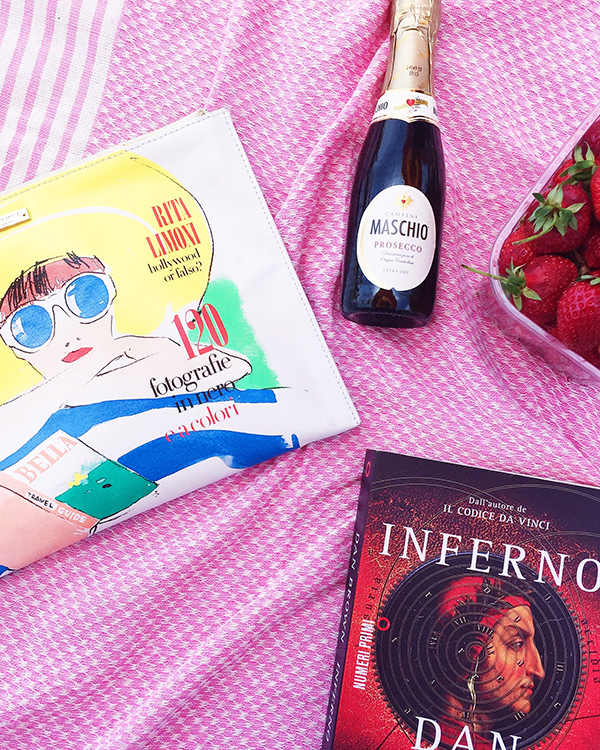 Nanette Lepore has definitely mastered this genre of weekend/beach dress. While last week may have been stressful, this week is definitely looking up. Just three days until I am back in Paris!